Driving down the Leba Pass. From March 27 to March 30, a field trip to visit the little known Pediva Oasis in southern Namibe province. We plan to hike and explore this beautiful area with its wide savannah and herds of Springbok. 30th, Sunday: Return direction home. There are daily flights from Luanda to Lubango arriving at 8.40 AM and daily departures out of Namibe to Luanda at 4pm. Camping gear and equipment is available for hire, prices on request. 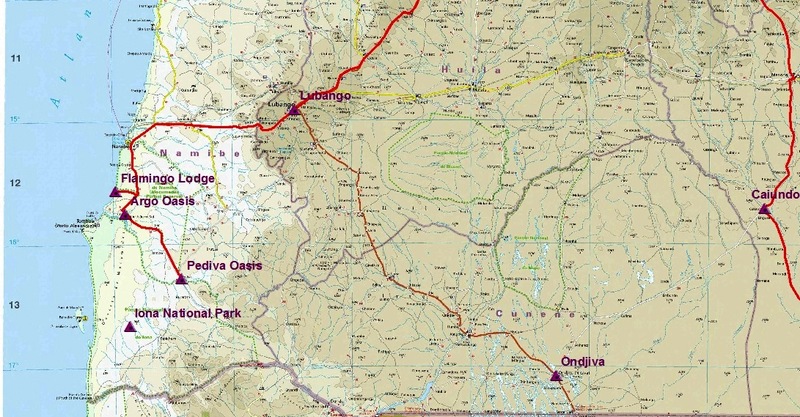 If you are driving, it is a 12 to 14 hour drive from Luanda to Lubango via Benguela city. 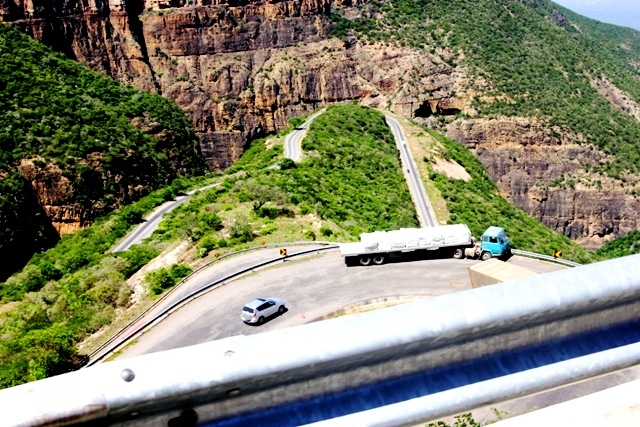 From Namibe city returning to Luanda via the coastal road of Namibe and Benguela provinces takes approximately 12 to 14 hours as part of the way is gravel road. May be some space available in vehicles. Click map to see a larger version.